If you have never been to Zimbabwe before, you’re in for a treat: It is one of the most beautiful, enigmatic and diverse countries in Africa and its most important treasures lie in its great wilderness areas. Around 30% of Zimbabwe’s total land area is protected as wildlife estate without equal. These spectacular and varied landscapes teem with a rich array of African flora and fauna. 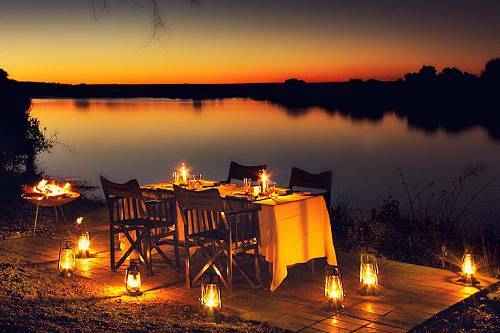 Stay at one of Imvelo Safari Lodges’ Zimbabwe camps for 2 nights and receive a 3rd night free! This short and sweet Africa honeymoon package includes a gorgeous riverside lodge at Victoria Falls and a luxury safari adventure in Hwange National Park.